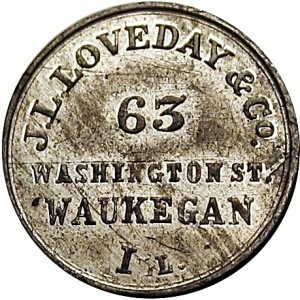 These Civil War Store Cards of Waukegan, Illinois are ascribed to the shop of S.D. Childs. (IL 890A & C) Childs was a prolific token manufacturer. His dies commonly make use of a woman’s head and most of his dies use sans-serif lettering. He also produced Sutler tokens. This Civil War Store Card of Waukegan, Illinois is ascribed to the shop of George J. Glaubrecht. 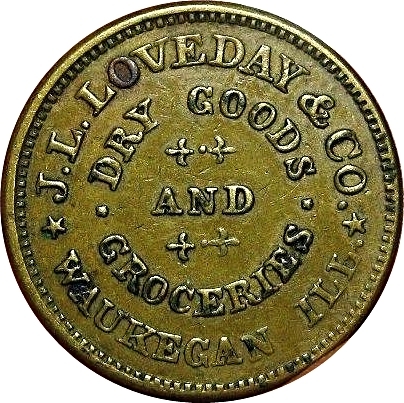 (IL 890B) His die cutting shop was located in New Jersey where he made several Patriotic Civil War tokens, some of which he signed with GLAUBRECHT. 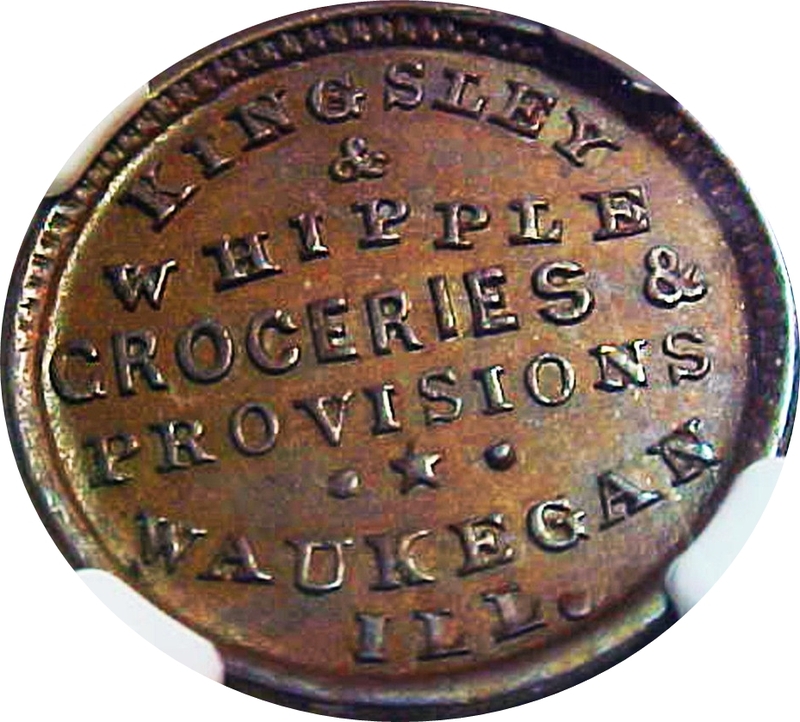 Kingsley / & / Whipple / Groceries & / Provisions / Waukegan / Ill.
J.L. Loveday & Co. / 63 / Washington St. / Waukegan / Il. D.P. 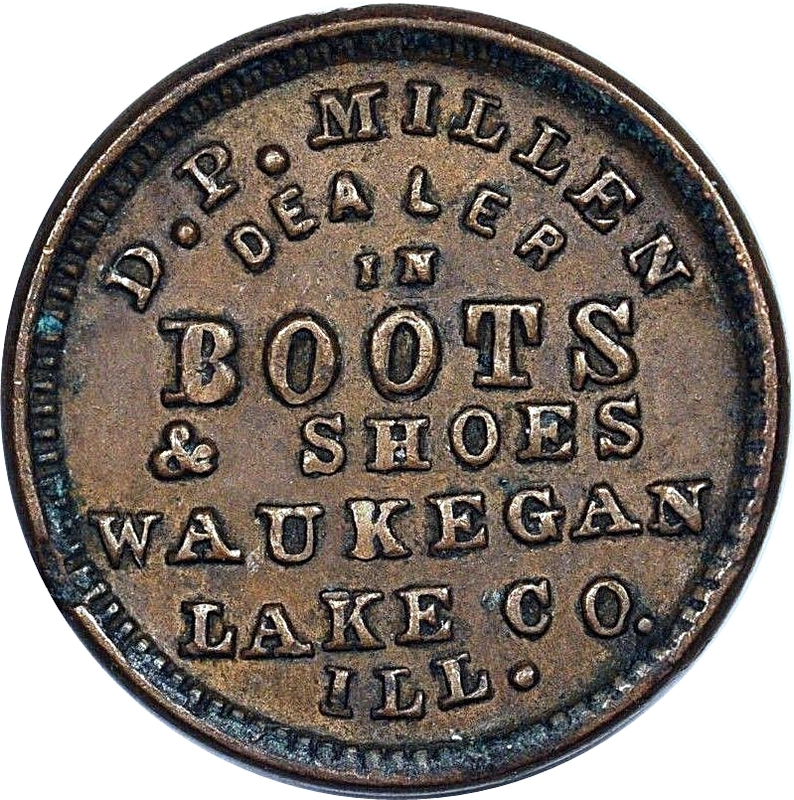 Millen / Dealer / In / Boots / & Shoes / Waukegan / Lake Co. / Ill.